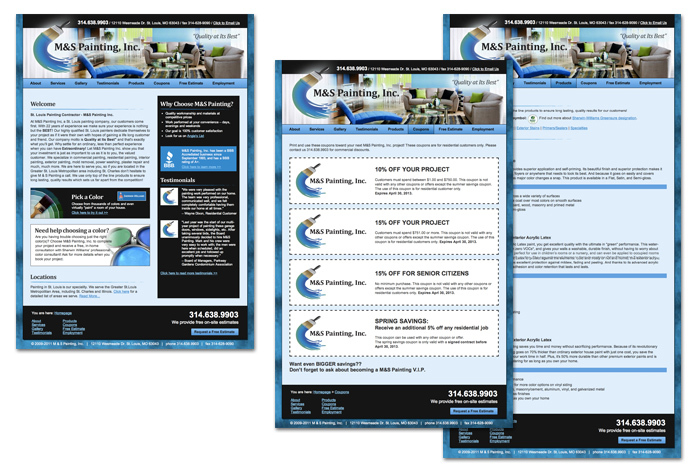 M&S Painting, Inc did not have a website and relied solely on word of mouth and the yellow pages for new business. They realized that they needed a website to reach younger customers. We built a simple HTML website for M&S Painting, and update it quarterly for them.